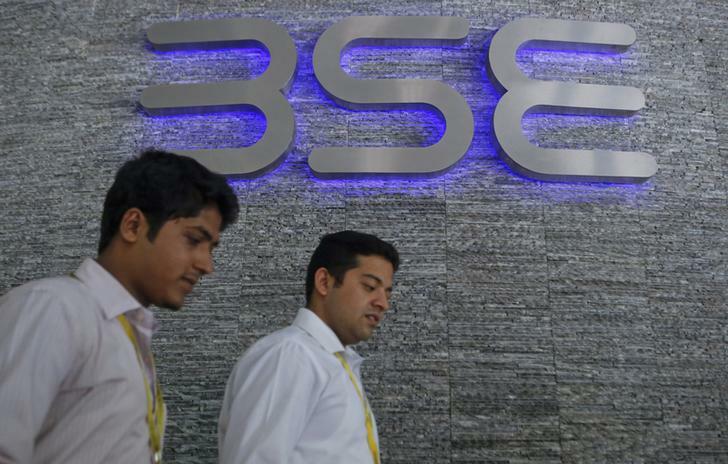 The 30-share Sensex ended flat at 28,443 and the 50-share Nifty gained 13 points at 8,538. Markets ended flat, amid a choppy trading session, weighed down by profit taking in select index heavyweights. However, the broader markets outperformed the benchmark share indices as investors turned their focus to mid-cap and small-cap shares available at attractive valuations. The Sensex ended down 1 point at 28,443 and the Nifty gained 13 points to close at 8,538. The broader markets attracted investor interest in today’s trade. The mid and smallcap indices ended up 1.4% and 1.6% each. Shares of mid-cap companies were back into action with the BSE S&P BSE Mid-cap index ended at a record closing high of 10499.86 after hitting an intra-day high of 10527.93 and National Stock Exchange CNX Mid-cap index ended at a record closing high of 12672.85 after touching an intra-day high of 12,705.80 levels. The activity in India's services sector expanded at its fastest rate in five months in November on new order flows, but hiring declined for the first time in four months, showed the widely-tracked HSBC purchasing managers' index data released on Wednesday. The index rose to 52.6 points in November against 50 in the previous month. A reading at 50 separates expansion (above 50) and contraction (below 50). Meanwhile, foreign institutional investors were net buyers in Indian equities worth Rs 107 crore on Tuesday, as per provisional stock exchange data. The dollar marked a fresh seven-year high against the yen on Wednesday, which helped lift the Nikkei to a similar closing record, while oil prices recovered on news of a drop in US supply. Japan's Nikkei stock average finished 0.3% higher, off its session highs but still closing at its highest level since July 2007 and China’s Shanghai Composite ended 0.6% higher. However, Hang Seng and Straita Times indices ended down 1% and 0.6% each. European shares were trading marginally higher on Wednesday following the bullish trend set by markets in Asia and the U.S. CAC 40, FTSE and Dax were up between 0.1-0.3%. BSE Auto index was the top gainer up 1.3% followed by Power, Capital Goods, Oil & Gas and Realty indices trading higher by 1% each. However, BSE IT and Teck indices lost sheen and were down 0.2%. Drug maker Cipla ended up over 3%. In a BSE filing, Cipla said “they sued Apotex Inc and Apotex Corp in Federal District Court in Delaware to enforce the Orange-Book listed patents covering ‘Dymista’ Nasal Spray.” However, Dr Reddy’s Lab closed nearly 2.4% lower. Oil and Gas major ONGC was the top gainer and gained over 3.4%. CLSA has a buy rating on ONGC as the brokerage believes the stock is pricing in an extremely high 93% subsidy burden. "The actual proportion is likely to be much lower and risk-reward appears attractive at current levels. ONGC is one of the cheapest global exploration & production names and our top play on reforms. Clarity on the subsidy formula should drive a rerating." With oil prices coming down and the domestic prices of petrol and diesel are purely market determined, the subsidy burden would be near zero on these two items in the second half believe analysts. Its peers GAIL and RIL gained between 0.3-1% each. BHEL gained around 3%. The company announced the successful commissioning of India's first phase shifting transformer at Kothagudem Thermal Power station in Telangana. It is a significant breakthrough for BHEL which is the largest manufacturers of transformers in the country. L&T is trading with marginal gains. Auto shares ended mixed. M&M recovered from yesterday's lows and is ended with a gain of more than 1.4%. The company’s prized acquisition Jaguar Land Rover has started to build a plant in Brazil. Maruti Suzuki gained around 1% as the depreciation of yen is likely to benefit the company. Among Financials, ICICI Bank gained around 1.3%. Tomorrow the stock turns ex-stock split. SBI ended with marginal losses. Finance Minister, Arun Jaitley informed the parliament about goverment's plans to decrease its stake in public sector banks to 52% in a phased manner. Axis Bank gained more than 1% while HDFC Bank and finance major HDFC lost 1% and 1.9% each. Sesa Sterlite, NTPC, HUL and Coal India were some of the prominent names in green among others and gained between 0.5-2%. Tata Steel lost 0.3%. After winning the battle in the Odisha High Court (HC), Tata Steel has got the order of the Odisha government for third renewal of its Sukinda chromite mines in Jajpur district. Heavy selling was evident in the technology pack. Infosys and TCS lost between 0.3-1%. However, Wipro ended with marginal gains. The tardy progress of IT major Wipro's Bhubaneswar project has prompted the state government to seek a detailed timeline from the company. Odisha's IT minister Pradeep Jena in a letter asked T K Kurien for a personal meeting to discuss the roadmap for Wipro's operations in Bhubaneshwar. Cigarette maker and Index heavyweight ITC shed nearly 0.7% in today’s trade. Shares of Nestle India were up nearly 2% after the board of directors of the company announced payout of the third interim dividend for 2014. Essar Oil spurted 20% on back of heavy volumes on Bombay Stock Exchange (BSE).